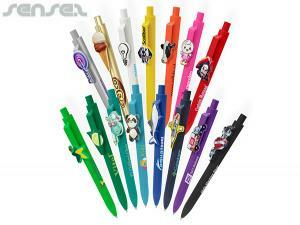 Nothing suitable in promotional shaped pens? 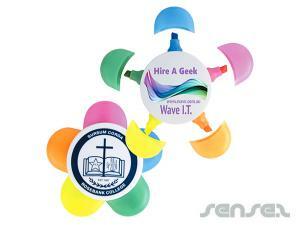 How about custom branded 3d moulded keyrings, logo printed corporate liquid filled pens or one of our promotional animal stress balls? 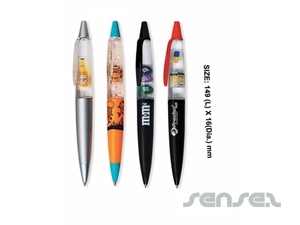 Innovative Corporate Ball Pens make great promotionalbranded items because they are functional, small and are constantly used or displayed in some way - whether it be on a desk or in the front pocket of a shirt. 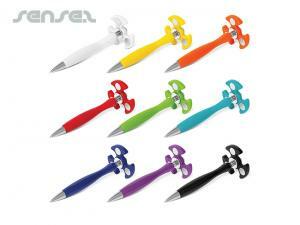 Why not add a little bit of fun with one of our Novel pens, shaped bookmark pens, fruit shaped branded custom printed pens is truly impressive. Starting with our animal shaped pens such as crocodiles, birds, camels, cats chickens, chipmunks, cows, deer's, dinosaurs, dogs, fishes, horses, whales, lions, owls, parrots, penguins, pigs, rabbits, sharks, sheep, snakes, squirrels, tigers and zebras. 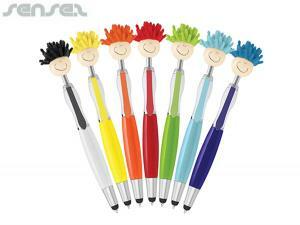 Animal Shaped Logo Ball Pens are great for kids promotions or zoo events. 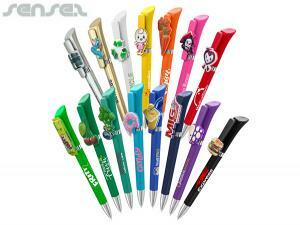 Our vegetable and fruit shaped cheap promo Pens are perfect for healthy promotions or food related branding. We have shapes such as apples, bananas, grapes, kiwis, oranges, pineapples, strawberries, watermelons, asparagus, beans, chilies and corn. 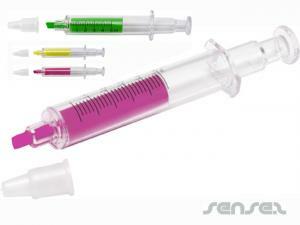 We also have medical shaped pens such as bones and syringes which are ideal for hospitals and medical centers. 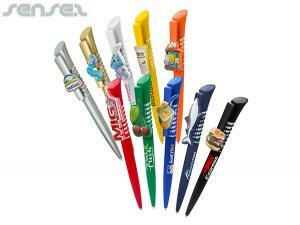 Branded baseball bat logo printed pens and sports ball pens are great promotionalcustom corporate promotional items for sporting events and team support. 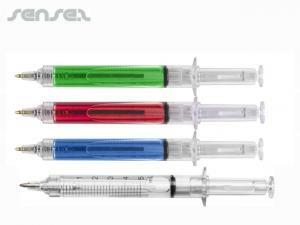 Or perhaps you might want to create you own shaped corporate pens - we also have a innovative range of custom shaped custom printed pens available. 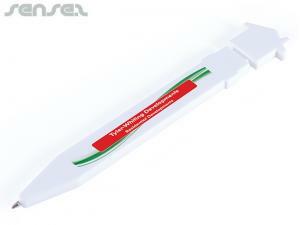 Our bookmark pens are completely custom made, so you can create anything you want and they are perfect for direct mailouts and innovative promotional giveaways. 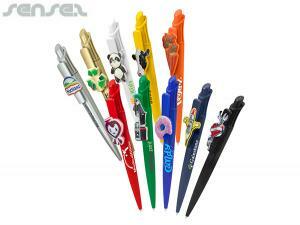 Or you can try our fun liquid filled and custom made marketing pens with custom made 3D floaters.